I wasn’t going to blog about the shootings in Tucson. I thought it was too high-profile of a crime for me and everybody would be blogging about it. I know it seems kind of crass for such a tragedy but I like to be original and try to blog about more obscure crimes that not a lot of people are talking about but should be. However that was before everybody and their weird uncle started making this into a political debate and I’m talking both sides of the aisle. You people and your politics make me literally physically ill until I want to retch blood. There is way more to life than just politics and I would even go as far to say that the political discourse in our country is what’s really leading it to ruin. There is also a huge flaw in what you think is your flawless political argument. Every person on this planet is responsible for their own actions. Blaming the tragedy on politics is just as idiotic as blaming Columbine on video games or Marilyn Manson. Even when I considered myself a Republican and political blogger I never blamed the actions of a criminal on anything but the criminal. But you people who are so obsessed with politics think that this attack by lunatic is a personal attack on your political beliefs and how dare should anyone disagree with them. This was not an attack on the left or right this was an attack on people. Human beings. Some of whom lost their lives just for being in the wrong place at the wrong time. They are the real and only victims in this tragedy. I just had a thought. To all you people using this tragedy to further some kind of political agenda, you’re no better than the Westboro Baptist Church. That’s right, the ‘God Hates Fags’ church. You’re doing exactly what they do, using a tragedy for self-serving means. Every one of you doing this makes you your own version of Fred Phelps. 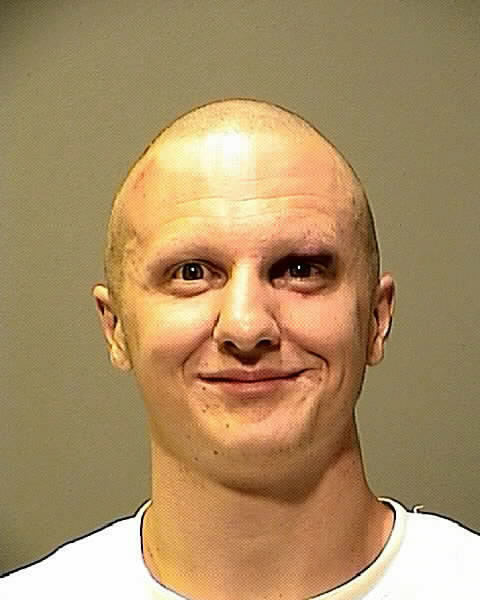 I could just as easily argue that Loughner committed mass murder just because he has one of the middle names of evil. A joke theory I have about having the middle name of Lee, Ray or Wayne guarantees you to become some kind of psycho killer. Sounds ridiculous doesn’t it? It sounds just as ridiculous for blaming this on a bunch of people you don’t like just because you don’t agree with them. You’re all pathetic and small.